The 28th annual Bay Bridge Boat Show in Stevensville, Md., is off to a strong start, according to general manager Paul Jacobs. 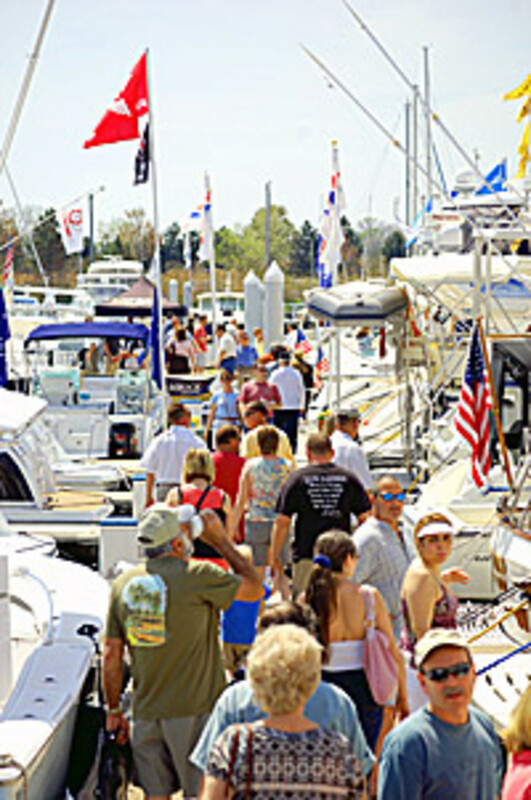 The show opened Thursday and will run through Sunday at the Bay Bridge Marina on Kent Island. "We opened on a perfect spring day with a very nice Thursday crowd," Jacobs said an e-mail to Trade Only Today. "The parking lots were nearly full, shuttle buses dropped a regular flow of people all day and there was good activity in the show." Jacobs said there is an impressive variety of boats this year, from kayaks to several 60- to 70-foot vessels. Boats on display include a Sunseeker 64, Viking 67 and an Outer Reef 63. There are 200-plus in-water displays.